Our dream is to help the next generation look at "junk" with an eye to re-use. For the past three years, we've created and managed the Art in the Schools Bench Project funded by Cracked Pots. As a part of Art Literacy, students study assemblage art, look at pictures of junk, and create drawings of a bench. Inspired by these drawings, an artist is commissioned to create a bench for permanent display at the school. If you're interested in making a donation, be it time, money, resources, etc. please send us an email. 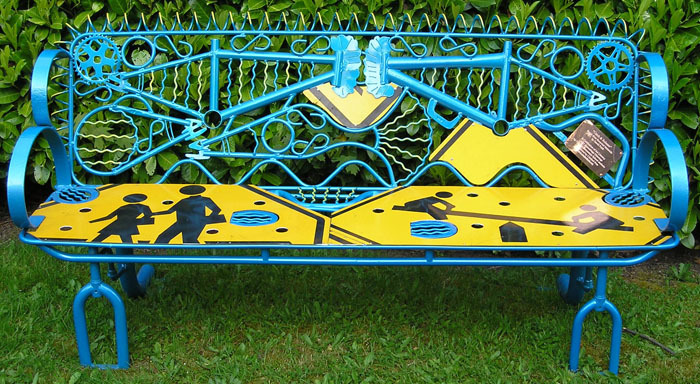 We're seeking sponsors for 2008 -- each bench project costs between $1500-$2000 as we cover all the costs for the schools and the artist. If you'd like to help, please let us know! Please check out our curriculum as well as a sampling of the children's drawings which you can download below. 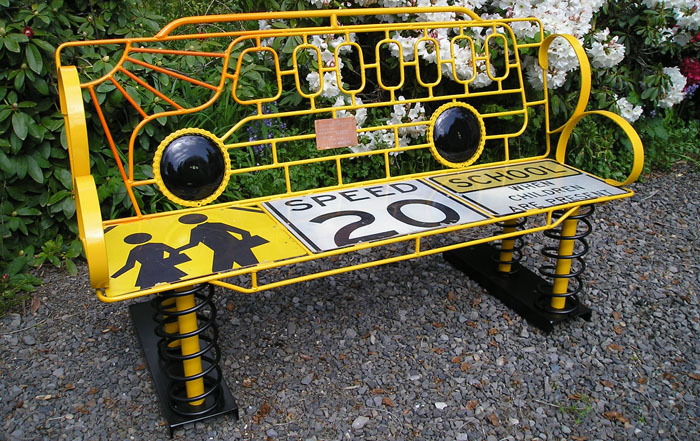 "Kinnaman in Harmony - A Song of Sustainability"
"The School Bus Bench "
We want to expand this program to give children the opportunity to participate in all aspects of the project. 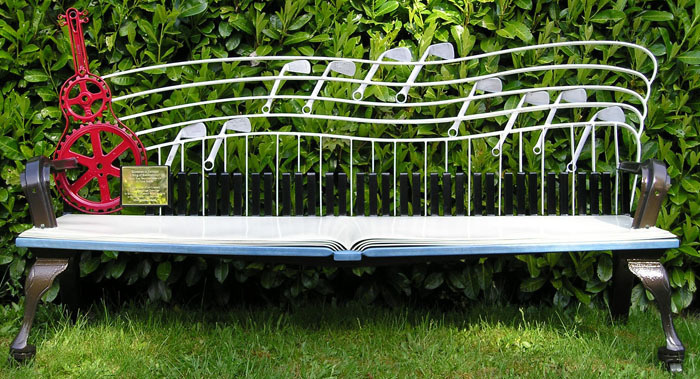 We'd love to see older students involved in the making of the bench or creating other art from "junk." We've created a curriculum for teaching about assemblage art. Please feel free to use our curriculum to create your own projects. We'd love to hear about your successes!